Fivenights.com is the largest and fastest growing weekday lodging site in the UK. We bring together those people looking for a place to call home for the working week with people who are able to offer a spare room. Fivenights.com lodgers return to their own home and families at the weekend, meaning that landlords get their place to themselves again. This is a great set-up for both lodger and landlord. Chris is the founder of fivenights.com. 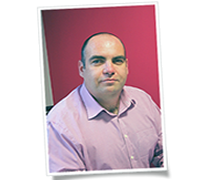 The inspiration for a weekday lodging service grew from Chris' experience working as a IT contractor all over the UK. Realising that an isolated B&B existence need not be the only option, he rented out a spare room paying only for the days that he used it. This turned out to be a very convenient set-up for both lodger and landlord. 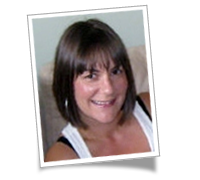 Vicky joined fivenights.com in 2011 and has a background in marketing. Vicky is responsible for the day to day running of the site, maintaining quality and providing customers with the best possible help and advice. Good customer service is at the core of our business. We are continually working to make our site as easy and friendly to use as possible. All our adverts are and always have been moderated ensuring that they meet our standards, and we are happy to lend a hand in their composition if required. Landlord and lodger are able to communicate with each other using our on-site messaging system so you do not need to give out your contact information until you feel happy to do so. We charge landlords to advertise, lodgers use it for free. Our pricing policy is straightforward and fair, we make a single charge to place an advert. A landlord is able to pause their advertising when they find a lodger, keeping any advertising days left until the next time they need to find a lodger. We welcome any feedback on the site and its future direction and regularly consult our customers for feedback on our progress. Contact us!